instruments Archives - WichiTech Industries Inc. Wear and tear or distress of construction material needs to be carefully catalogued so that parts can be replaced in time and the integrity of structures maintained. From buildings to airplanes, from concrete to composite alloys, tapping has for long been one of the most popular methods of detecting potential breach of strength. It is simple to execute, it is affordable and it provides supervisors and engineers with a fair bit of information about hidden weaknesses in the materials being tapped. However the process is subjective to say the least. Operators must gauge the type and the extent of the delimitation simply by the tonal quality of the sound that emanates from the sample when it is repeatedly hit with a hammer. Even though this leaves no visible signs of depredation the frequency of the vibration produced is quite telling. Ambient conditions, the presence of interference and outside noise can cloud the judgment of the supervisor. This is the reason why sometimes expensive recourses like echo ultrasonics, shearography and thermography have to be used, especially when it comes to judging vulnerabilities in composite materials. Wichitech Industries Inc. has pioneered a breakthrough in this field that can eliminate the need of relying on the skill-set of the ‘tapper’ for an accurate readout. This is the introduction of objectivity into hammer or coin tapping with the Rapid Damage Detection Device (RD3). WHY IS THE RD3 TAP HAMMER UNIQUE? The RD3 is not only light weight and robust, it is also portable. Constructed from the best-in-class components it has a hammer with an accelerometer connected to a liquid crystal display equipped module via a flexible cable. It proves to be especially useful where detecting delamination is concerned. It supplements the discernment of the tapper with a quantitative numeric read out. Each value corresponds to a pre-defined damage scale and with this kind of standardization, it is easy to entrust the task of probing chinks and signs of stress to operators who aren’t as experienced as their traditional tapping peers. For any enterprise interested in the maintenance of its composite material structures, this non-destructive probing and examination technique with its new found accuracy is bound to be a boon. Wichitech Industries Inc. is proud to be the brain behind this offering and looks to changing the face of the NDI industry for the better. As industries rapidly grow in size and mature in terms of the techniques and technological breakthroughs leveraged, there is a growing need of a vigilant and fool-proof repair system to ensure the integrity of complex structures. The new-age hot bonders embody all these desirable characteristics. 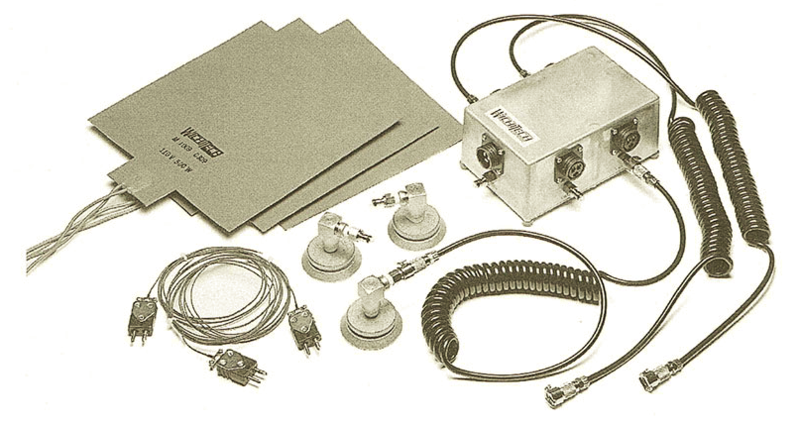 They prove to be invaluable for traditional bonding or repair assignments, secondary bonding processes that generally rely on ovens or autoclaves to proceed without hitches and for research and development projects where prototypes may need to be frequently assembled and dismantled and thus run the risk of compromise. Bonders epitomize convenience and they have radically transformed the way delicate and precise repair work is conducted for commercial and technical endeavors. Laying claim to the prestigious epithet of the world’s hottest hot bonders, Wichitech’s line of HB1 and HB2 Composite units are fully manufactured in the US and at as little as 35 pounds they stand for light weight efficiency. All components of the units are shock mounted in rugged, impact resistant cases that hold themselves well under extenuating circumstances. They come with easy to manipulate settings and a clear display to expedite curing and the exacting task of setting the right temperature for the bonding to be invulnerable. This fully featured unit is economical to say the least. 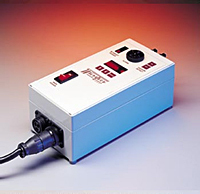 It packs the punch of larger, more expensive set-ups and comes with multiple thermocouples, a fail-safe mechanism of triggering an alarm if conditions are not conducive to repair work and even a vacuum line and heat blanket to ensure complete lack of moisture and ambient temperature fluctuations which interfere with the sealing process. One evolutionary step above the H1 units, the HB2 bonders possess all the differentiators that set its predecessor apart with a few key add-ons. They have two independently programmed heating zones of 20A each to perform cures at different temperatures. A list of pre-programmed options in the menu obviates the need of expertise to use the unit optimally. Compact yet extremely powerful it renders everything from Kevlar to carbon to fiberglass pliant. Wichitech Industries Inc. lives by the tenets of simplicity, affordability and quality. Its bonders have an impeccable reputation in the market and represent the best of the advancements made in this field. 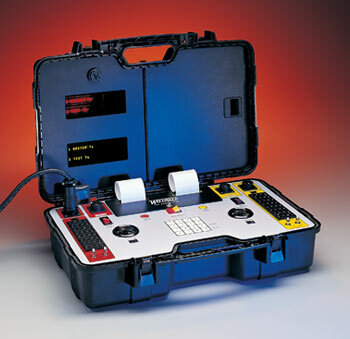 Each kit allows you to operate four different training repair stations off of one bonder. In other words, instead of purchasing four separate bonders, you’re able to operate four stations using the kit, which will save you money. With the student training kit, each student will have his or her own blanket and will be able to program off of one bonder. We offer training in training composites, and we sell these kits to technical colleges and universities. We have separate training institutions that buy them in training composites and any kind of private training institution. When training in composite repairs, you use a bonder and apply the heat to the repair. Ordinarily, you would use one bonder per repair, but now, training institutions can buy only one bonder that can operate up to four stations as opposed to just one. The alternative way to do this would be to purchase four bonders, since they are necessary to perform certain repairs. Normally, when this equipment is manufactured, it’s manufactured in an oven, which, of course, is a very large appliance, and then these pieces are all assembled. When they’re repaired, you can stick an aircraft back in an oven, and all you have to do is what we call a “spot repair” to the aircraft. We’ve received a lot of positive feedback from technical schools about our student training kits. Schools are very budget conscious, and lately with the advent of using more composites on aircrafts and even things like cars that are starting to use composites, more people will need to be trained to repair these materials. With the right training, a sheet metal mechanic will be able to do composite repairs. Having those combined skills of sheet metal work and composite training will be valuable in the years to come. For more information about our student training kits, please check out the following link on our company website. WichiTech has a cost-effective solution to detect voids, degradation, and delamination in composite structures. Our RD3 (Rapid Damage Detection Device) provides non-destructive testing for products with damage not visibly showing from the outside, but possibly containing damage to the core. Our device provides results that are accurate, easy-to-use, and essential to routine non-destructive testing. You’re testing results will no longer be questionable. Our handheld device provides a numerical readout that clearly shows if there is delamination in the structure. If there is core damage, there could be condensation damage that you can’t see, thus causing the materials to crush. Most mechanics perform a TAP test to listen for signs of damage by tapping on the surface of the material to listen for certain sounds in different areas. 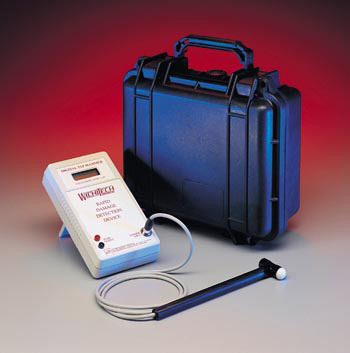 When using the RD3, testing can be done the same way – except easier! When performing testing using our handheld device, if the numbers start to increase, then you know there’s a problem with the composite materials. When working in a repair facility, there’s lots of noise surrounding you. That’s why with the RD3 hammer, you don’t have to hear it – just read it! At WichiTech, we get tons of questions each day regarding the functionality of composite structures. Now, you can answer your own questions and get results fast! Please read the products and services page on our website for an in-depth explanation of the RD3. And feel free to email our sales team at WichiTech@WichiTech.com for more details!